Charming cabin/guest house, on the south end of Lopez Island. It is just a short walk to Mud Bay. Also in walking distance to three other great beaches. All walks provide tranquil beauty and serene opportunities. Lovely garden available for sitting in the evening, and great sunsets. 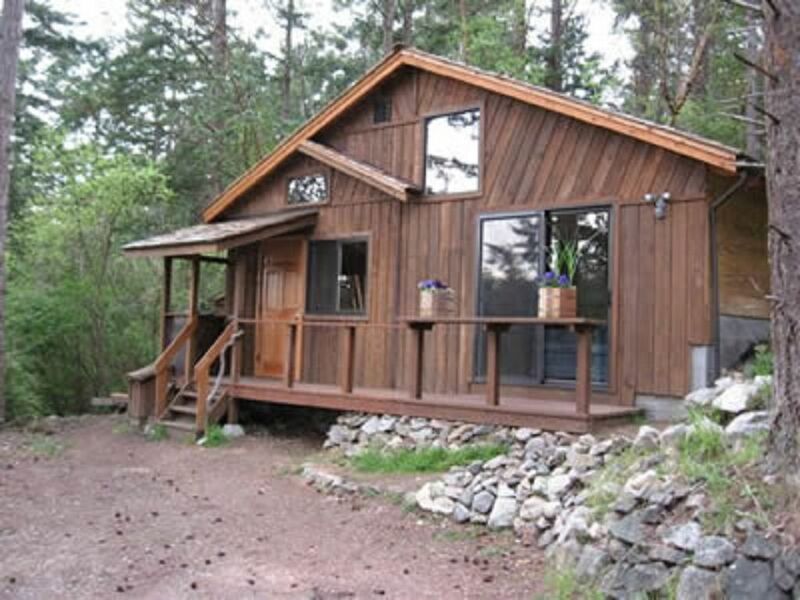 This cabin is close to a well-crafted, cedar sided house, which matches the cabin, however, you can expect total privacy, as the cabin feels separate from the house and is a self contained unit. It was quite nice. A tad smaller than I'd imagined but, very nice. Access to all the biking and beaches you could want. Delightful owner! We really enjoyed our vacation in Lopez Island. This cozy cabin had been on my radar for some time. We had a great time in Karleen's cabin! It was clean, warm, and had everything we needed for an "off the grid" getaway. We really enjoyed our stay at Karleen's place! We really enjoyed our stay at this charming island cabin. Karleen was a Great host and provided us with a lot of information about the islands. Lots of privacy and great amenities. Wonderful location for a relaxing time on the island. We would highly recommend this cabin. Definitely off the beaten path. The cabin is quaint and cozy and Karleen is an excellent host. For me however, it's a little too out of the way - my cell phone (AT&T) had no service, there's no tv in the cabin and for the first two days I was there, the entire island had no internet. So, if you're really looking to get away from it all and disconnect, this would be a nice place to stay. Directions : From Lopez Island Ferry landing turn left onto center road. Drive 5.6 miles and turn left onto Mud Bay Road for 0.2 miles than turn right to stay on Mud Bay Road the cabin is 1 mile of south of the South End grocery store and gas station. Stay on Mud Bay Road we are 0.2 miles south of Mud Bay Dock road . We are on the left big garden in the front.